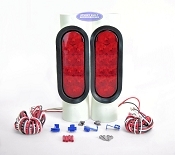 Shop for Trailer Lights including LED Pipe Lights and More. No matter what type of trailer you are hauling, maintaining the safety of your rig is critically important. 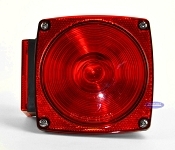 Whether it is a boat trailer, utility trailer or enclosed trailer, ensuring that your lights, blinkers and reflectors are all functioning properly goes a long way toward making sure that the vehicles on the road around you are able to recognize your braking, lane changes and other maneuvering signals. 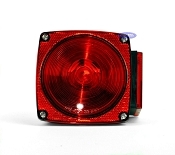 At Sturdy Built Trailer Parts, we carry an excellent selection of top quality replacement trailer lights and light accessories that are designed to not only promote safety, but to last a long time on the road. 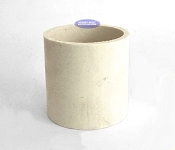 Choose from pipe lights, submersible lights and more. We even carry the individual light components like adapter ends, wire harnesses and more, all backed by our Best Price Guarantee. When its time to change the lights on your trailer, choose the company that knows trailers better than anyone in the business.